The town has historic roots going back to the Neolithic times, and in the antiquity it was known as the city of Lychnidos, meaning ‘town of light’. 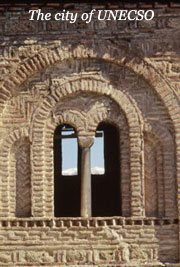 Later in the 4th century BC, the town was inhabited by Macedonians and then the Romans in the late 2nd century. 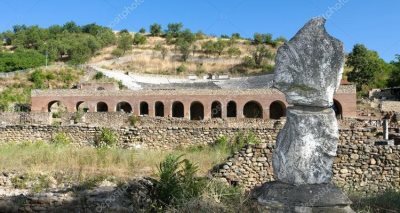 The city developed during the Roman times due to the road Via Egnatia, which passes through Radozda and Lychnidos. 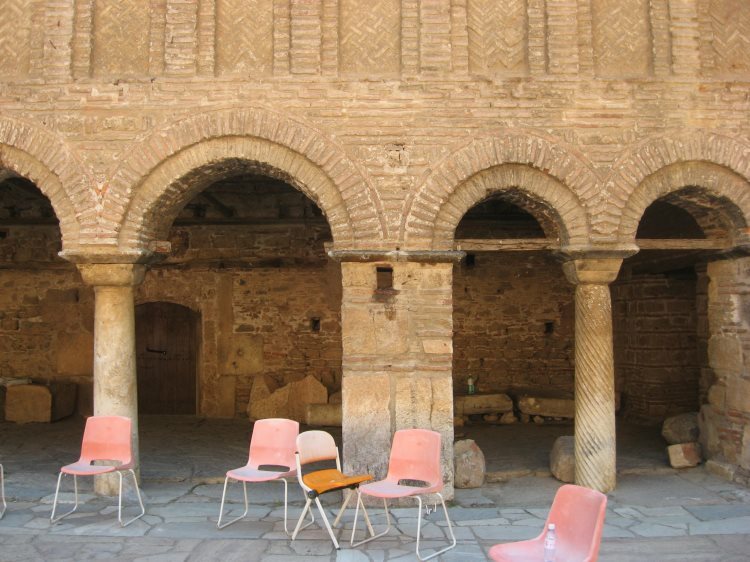 By the 5th century AD the first basilicas were built, and in 879 the town was no longer called Lychnidos but was referred to by the Slavs as Ohrid. St. Kliment, who is the patron of the city of Ohrid (08.December), was one of the disciples of Cyril and Methodius. He was a teacher, a Bishop and together with St.Naum, a founder of the first university on the Balkans. 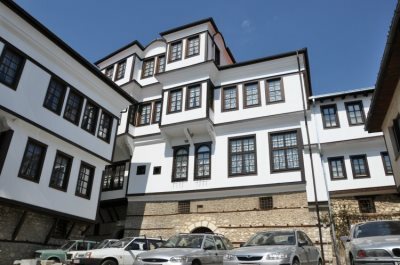 In the 10th century Tzar Samoil moved the capital of his empire to Ohrid, and later the city became a part of the Byzantine Empire, until the coming of the Ottomans in 1395. During this time Ohrid had a privileged position, with its own Archbishop. 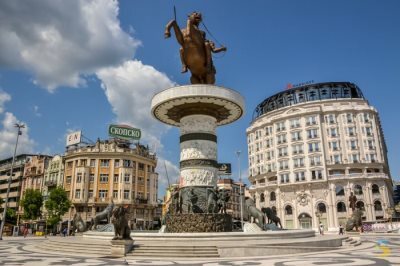 This “hidden pearl” on the Balkan Peninsula is famous because there is a quote that in the Middle Ages there were 365 churches, one for each day of the year. Its exquisite natural beauty and the unique charm of the old part of the town also known as the Old Bazaar, makes Ohrid today one of the most visited destinations by the tourists. Samuel’s fortress is one of the largest preserved fortifications in the Republic of Macedonia from the 11th century. The earliest trace trails back to the III century B.C., when it was the fortress of the ancient city of Lychnidos. The walls of the citadel are 3 km long and 16 meters high. Today, 18 towers and four gates still remain from the original structure from the 10th century, when Ohrid was the capital of the first state of Macedonian Slavs during the rule of the Macedonian King Samuel. The fortress gives a beautiful view of the Ohrid Lake and the old part of the city beneath. The 45 springs which are a rare natural phenomenon, bubble up from the bottom of the crystal clear stream bed, and mostly bring water from the neighbouring lake of Prespa, on the other side of Galichica National Park. A boat trip down to the springs, which feed Lake Ohrid, is available in the vicinity of the monastery of St. Naum. The Ohrid Icon Gallery collects some of the best examples of the iconographic art in Macedonia, from XI until XIX century. It is considered to be the second most important and valuable collection of icons in the world after the Moscow collection. 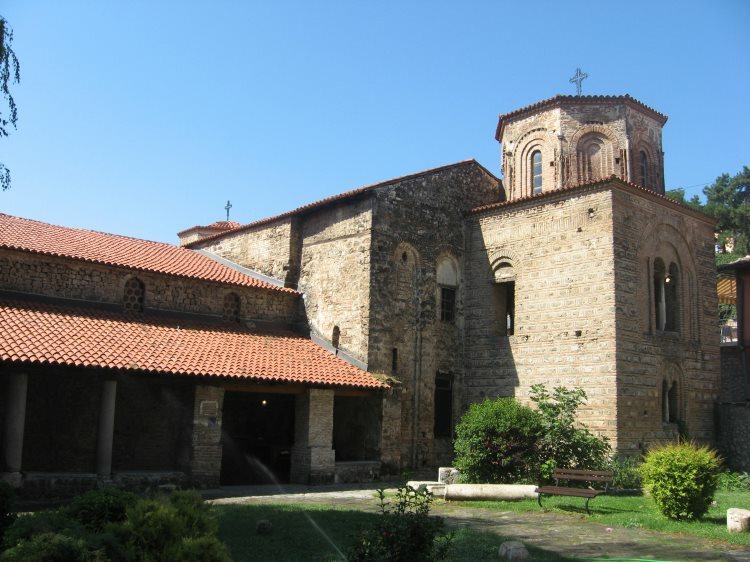 The Gallery of Ohrid Icons is located within the complex of the church of St. Bogorodica Perivlepta (St. Clement). The oldest preserved icons are those of "Ss. Basil the Great and Nicholas" and "The Forty Holy Martyrs" from the first half of the 11th century. 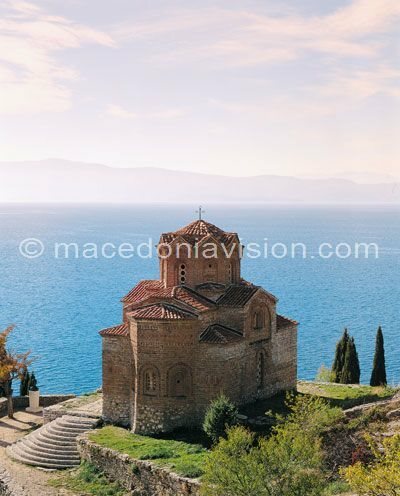 A half day tour to Ohrid (World heritage sites listed under UNESCO) includes the Old part of the city visiting the church St.Sofija (11th c.), Ancient Theatre (3rd BC), church St.Bogorodica Perivleptos (13th c.), Ohrid’s Icons gallery, Tsar Samuel’s fortress, Plaosnik and the Curch of St. Pantelejmon and church St. John of Kaneo. 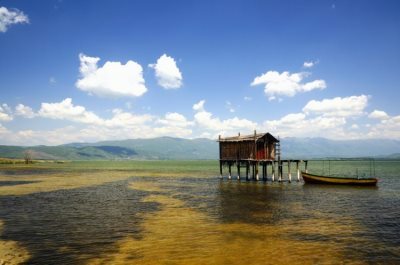 The tour can be expanded to a full day tour with the visit of the Monastery of St. Naum and the Museum on Water (reconstruction of an Eneolithic pile-dwelling settlement). Also there is possibility for buying traditional Ohrids’s pearls and handmade filigree jewelry.  Organized groups: at prearranged time. Larger organized groups can be organized at other scheduling at prearranged time.  Macedonia Vision sale spots, authorized agents and hotel’s receptions. Ohrid Summer Festival -The biggest event in the city of Ohrid is the Ohrid Summer Festival which takes place on 12 July - 20 August every year. It was held for the first time in 1961, and since 1994 the festival became a member of the European Association of Festivals. The event gathers artists from all over the world, offering events for everyone’s taste. 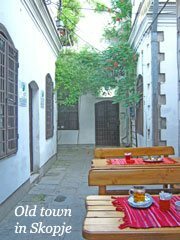 A number of concerts, theatre plays, poetry readings, and ballet performances are enjoyed in the most magical atmosphere in the old part of the town. Balkan Festival - Traditionally, this festival takes place in the beginning of July and hosts vocal and instrumental bands and solo singers from Macedonia, the Balkans, and neighbouring countries, presenting their authentic folk creations and traditional culture through dances, songs, rites, traditional clothes, local costumes, traditional musical instruments, and handicrafts. Ohrid International Swimming Marathon - Each year, in the second half of August, the swimming elite throughout the world gathers in Ohrid and, starting from St. Naum Monastery, they swim along the lakeshore to the town harbour, approximately a 30-km route. In 1998 the Ohrid Swimming Marathon entered the list of 12 worldwide held marathons under the patronage of FINA -- the World Swimming Association. Balkan Square Festival - This event of contemporary Balkan music is organized in the antique theatre in Ohrid and has so far hosted a lot of domestic and internationally known names. Macedonian Language, Literature, and Culture Seminar - The Macedonian Language, Literature, and Culture Seminar is a major annual event that takes place in Ohrid during the month of August. It has a continual history of more than three decades and has become a famous Slavonic benchmark respected by the whole academic world. Ohridski Trubaduri Festival - This three-day festival takes place in the middle of August. It initially started as a folk festival, but today the festival consists of three evenings: a folk, pop, and international evening. It became quite popular because some of the greatest Macedonian hits came out of this festival.